I was lucky enough to get tickets for the September 26th Show Crawl event hosted by ChickAdvisor and FASHION (presented by the 2014 Ford Fiesta). 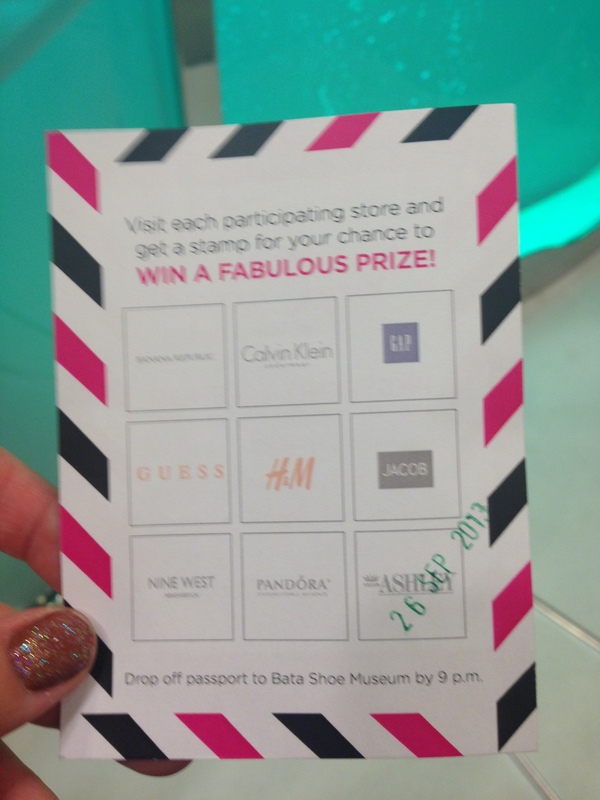 The event was a Bloor Street Power Shopping escapade from 6-9pm where we were provided exclusive discounts for 9 participating retailers – Ashley, Pandora, Jacob, Calvin Klein, Guess, Nine West, H&M, Banana Republic and the GAP. At 6pm we registered, picked up our wrist bands and Shopping Passport and were on our way. On the passport we needed to get stamped by all 9 retailers by 9 pm to enter to win a grand prize. Then off we went for 3 hours of shopping fun and exclusive discounts. Given that I had just dropped a small fortune on laser eye surgery I did my best to not go as crazy as I wanted to. 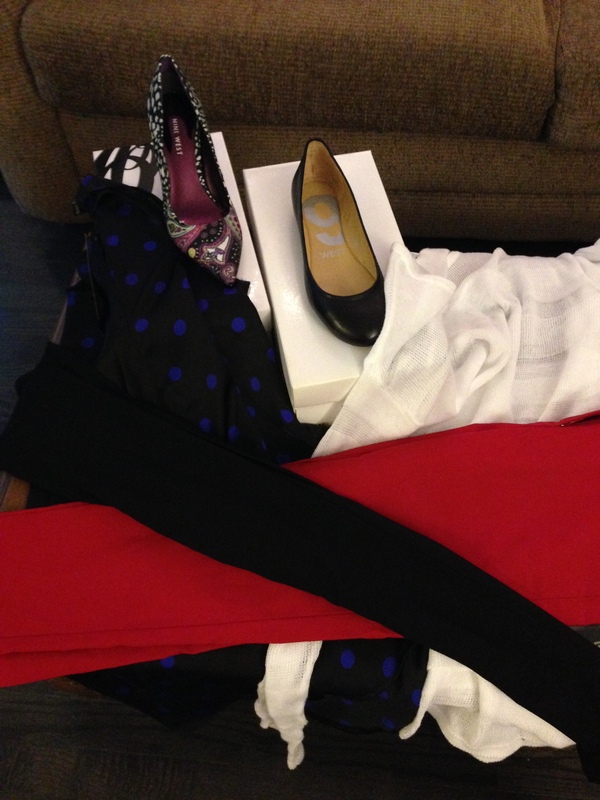 I only ended up getting 3 clothing items at Jacob and 2 pairs of shoes at Nine West. 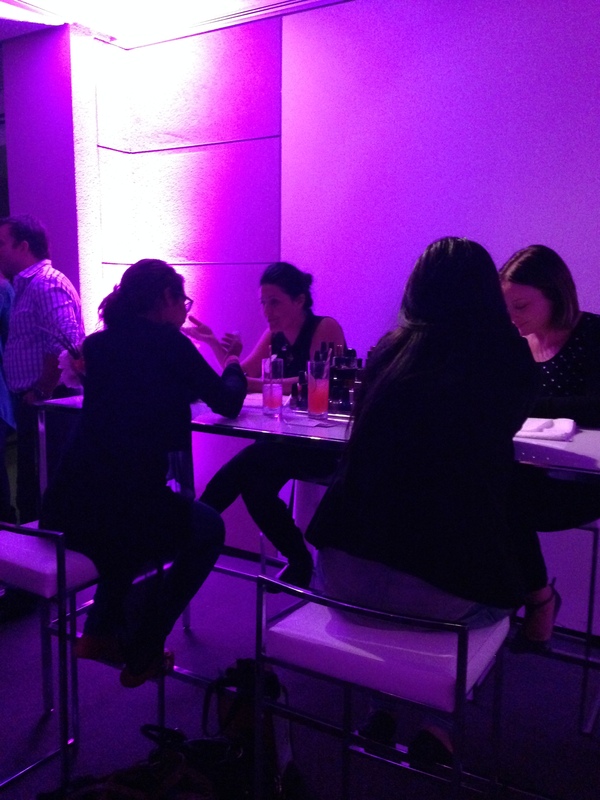 If you chose to purchase tickets to the after party at the Bata Shoe Museum (which for an additional $10 extra it’s totally worth it) you got to spend from 9-11 pm sipping complimentary Skyy Voda cocktails and hors d’oeuvres in a venue set up like a trendy lounge. They also had a help yourself candy bar, a photo booth and complimentary manicures. However we were a bit tardy so there wasn’t time for a manicure (the sign up sheet filled up fast) but that’s OK. Was still an awesome way to end the night. 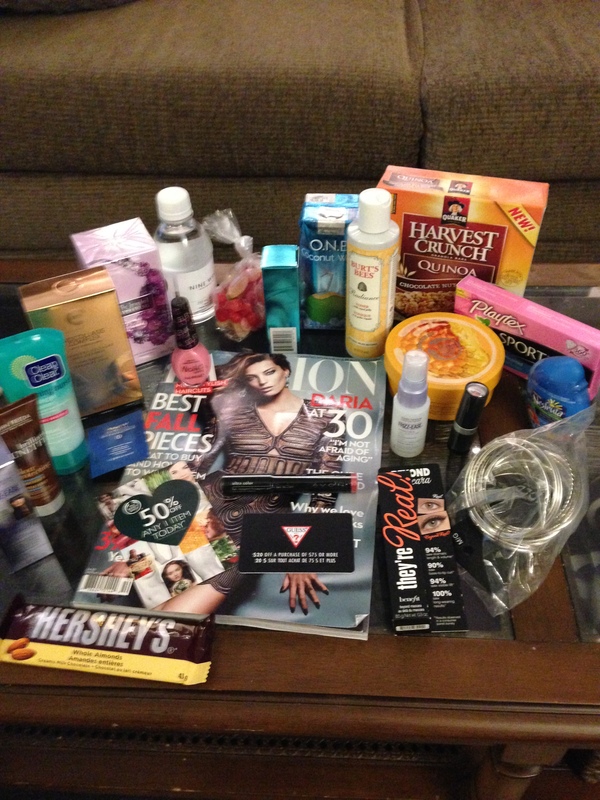 All Shop Crawlers also got to take home a super awesome swag bag that is worth MORE than the price of the event tickets. We stayed right until 11 pm and had a great time chatting and making new friends. This was my very first Shop Crawl and it just blew me away. It was so much fun I’m definitely going to try and attend all the future ones. I was definitely shopped out by the time I got home. 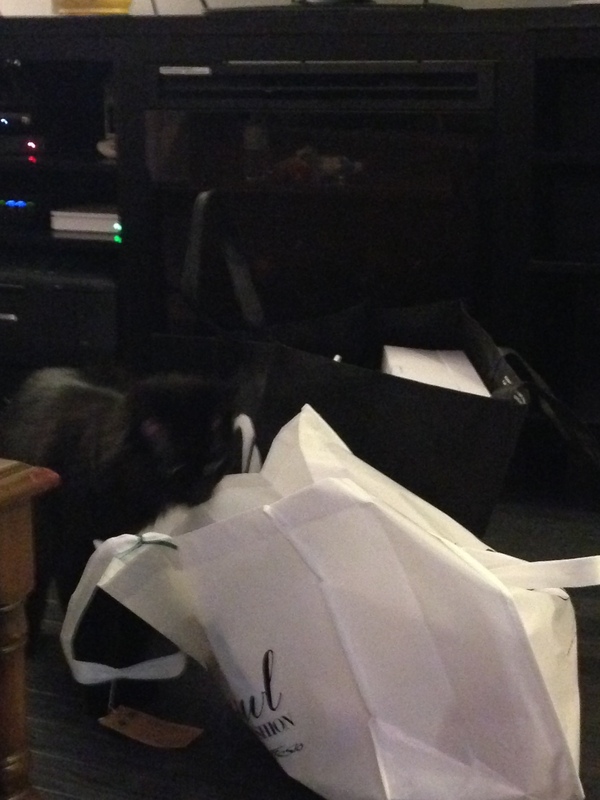 However Scarlet was very curious on the new goods so I clearly had to show her the haul that I’d gotten. This entry was posted in Fashion and tagged Ashley, Banana Republic, Bata Shoe, Calvin Klein, ChickAdvisor, event, Fashion, Ford, GAP, Guess, H&M, Jacob, Lounge, Nine West, Pandora, Shop Crawl, shopping, Skyy, Vodka by maldham. Bookmark the permalink.